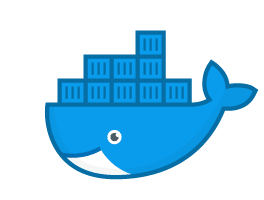 Containers are a new virtualization technology used to implement scale-out applications that require greater efficiency and scalability. You will learn about the Microservice architecture and how Containers are used in this model. This training will make you also familiar will Docker, Kubernetes and the different container services offered by Microsoft Azure. The quantity and importance of data entrusted to web applications is growing, and defenders need to learn how to secure them. Many web developers lack the required skills to write secure code. This course takes you through the different security threats and defenses and learns you hands-on how to apply them to ASP.NET MVC and ASP.NET Web API. This training will take you from being an average Angular developer to a great one. Amongst others, you'll gain more insight in the internals of Angular and you'll explore more advanced techniques like RxJS and Redux. In this newly developed training on the Microsoft AI Platform we will bring AI to every developer. In this course you are taken through all relevant topics to build intelligent applications. We'll focus on Bots, Machine Learning, Cognitive Services and Azure Search. 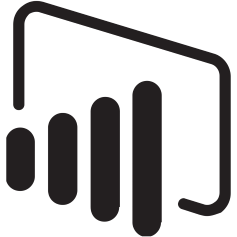 Microsoft PowerApps and Microsoft Flow are both SaaS services part of Office 365. They allow business users to build business applications on top of their data and build flows to automate business processes. Join this course and learn how to use these services to create custom applications and flows without needing any development skills. The 3-day training Office 365 Essentials is targeted at key users, power users and functional analysts. Amongst many others, you will learn how to manage Office 365, configure Exchange Online mailboxes, provision SharePoint sites and work with PowerApps and Flow and all the social features of Office 365. Power BI is a suite of business analytics tools to analyze data and share insights. In this training you will learn how to use Power BI Desktop to transform your company's data into rich visuals for you to monitor your business and get answers quickly with rich dashboards available on every device. U2U organizes training for developers and IT professionals on Visual Studio, Office 365, SharePoint, SQL Server, Dynamics 365, Exchange Server, Windows Server, Business Intelligence, Mobile and Web Technologies. Our open enrollment on-schedule courses provide an easy way to gain a thorough knowledge on a specific product or technology. The courses are conducted in English and are organized regularly in our training center in Brussels. Take a look at our catalog and our schedule and subscribe on our website for the next session. You may check out our discount conditions to maximize your savings. On-site courses can provide a more economic and convenient solution for companies that want to train a group of people. Our private on-site formula offers exclusive courses in Dutch, English or French customized to meet the needs of your company. The courses are organized in our training center in Brussels or on-site in your office throughout Europe and the Middle-East or a seminar center near you. We will bring the course manual and provide the online lab environment. All U2U instructors are experienced presenters who can make the most challenging topics easy to understand. We supply each student with a powerful, pre-configured computer or cloud environment to complete lab exercises. Many of the U2U courses are developed and authored by U2U instructors and are constantly being updated to the latest technologies. Our mission is to deliver top quality courses by trainers who are experts in the technologies. U2U trainings will provide you with an in-depth technical knowledge and an accurate view on the concepts and architecture of the technologies, achieved in a series of lectures and exercises. U2U always anticipates the latest trends and adapts its training offer constantly.